Artifacts and Relics:Extreme Sorcery - Review by S.E. Azieran Adventures Presents Artifacts and Relics: Extreme Sorcery delivers exactly what is promises: fantastic adventure with a focus on artifacts. Highly recommended for dark fantasy fans, or readers looking for varied adventure. “…it's pretty safe to say this creation of and questing for ultimate devices is a fixture of myth and fantasy…The Golden Apples. The One Ring. The Holy Grail. A dozen swords followed close by another dozen each of crowns and amulets and all sorts of doodads. Think of it, and there's most likely at least one tale of the one and only “Iron Skillet of Cooking.” Why? What drives our fascination? Superstition, faith, desire both baleful and beatific. That lucky rabbit’s foot — a relic of superstitious belief passed through the ages. Does it really work? Who knows — it seemed to once, and that's all that is necessary. Fortune, like gods and demons, is fickle and cannot be counted upon to strike often or consistently. Or conveniently. And so — unless we are gods ourselves, or blessed with powers beyond the norm — we quest for the next best sure thing.” Jason Waltz Intro. (1) The Lovers Quarrel by James Beamon opens the book. I do not seek out sci-fi/gun literature much (Swords & Sorcery for me please), but this duel of sorcery versus guns worked even for me. (2) The Book of Echoes This was my first Dowser/Joe Bonadonna experience; this is a blend of mystery, noir, horror, and sword & sorcery...with a sprinkling of humor. According to him (via Facebook conversation) the first scene and finale were somewhat influenced by the 1950s film version of Mickey Spillane's "Kiss Me, Deadly." I enjoyed this so much that I purchased Mad Shadows: The Weird Tales of Dorgo the Dowser before finishing the anthology. (3) The Sword Cult by Steve Goble was poignant and direct. I became a Goble Fan from RotS and am fascinated with his “Faceless Sons” stories; this was my first Calthus experience and was equally engaged. Apparently a collection has been in the works--I would welcome that. (4) The Highest Price: I’m not a Arthurian Legend fan per se, so I was not excited at first when I stumbled into the story on Excalibur; but Anderson’s perspective was fresh and won me over. (5) The Black Abbot of Puthuum: Clark Ashton Smith’s classic tale rounds out a great menu; a selection from his Tales Of Zothique worked well. Being a proud Ohioan, I always am excited to highlight the state’s participation in fantasy fiction. Steven Goble hails from northern OH, and the anthology ends with a story from Oron author David C. Smith. Some minor quibbles: The Lovers Quarrel felt more like a flash fiction outline than it did a fleshed-out story, and Azieran: Assimilation by Second Dawn did not really seem focused on the sword Darkannis (actually there were many weapons/artifacts that shared the stage). Darkannis (sword) / Azieran: Assimilation by Second Dawn / Christopher Heath/ Magic vs technology; gothic robots! 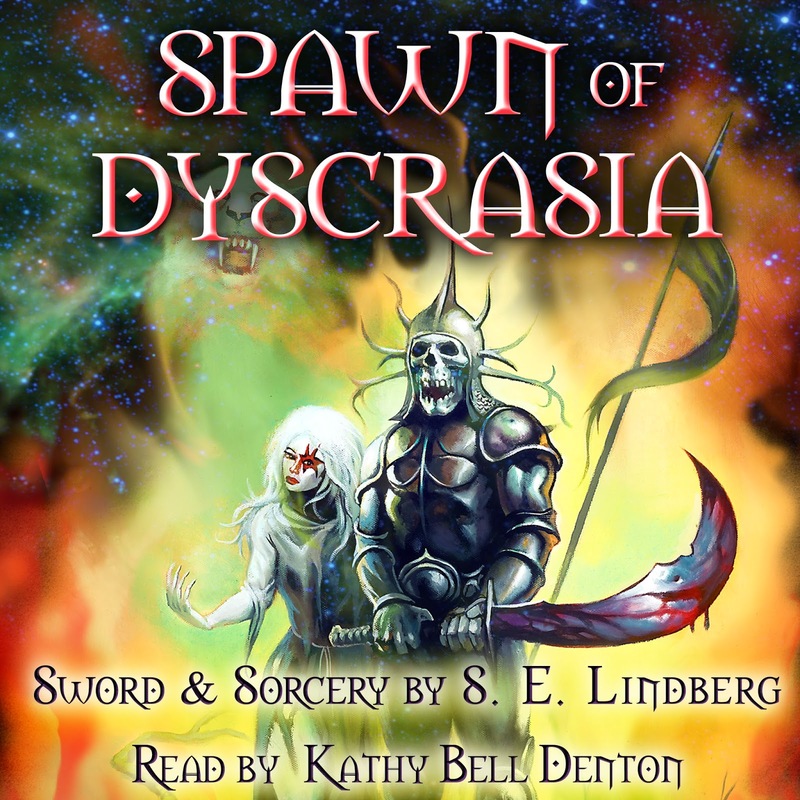 2014 was a busy year, with Spawn of Dyscrasia hitting online book shelves and the Kindle Store in July. The video trailer accompanied its release (embedded below). By year's end, the book was featured on two reviewer blogs as being highlights of the year. 2015 is promising to be as busy. Audio books of both Lords and Spawn are in production already, due for a March 2015 release via Audible.com. Cover icons below. Expect more video trailers, this time with professional narrations from Kathy Bell Denton and Thomas B. Hackett! Of course, Book III is underway (working title "Seer Helen"), aiming for a 2017 release. Thanks to all for reading, reviewing, and listening. 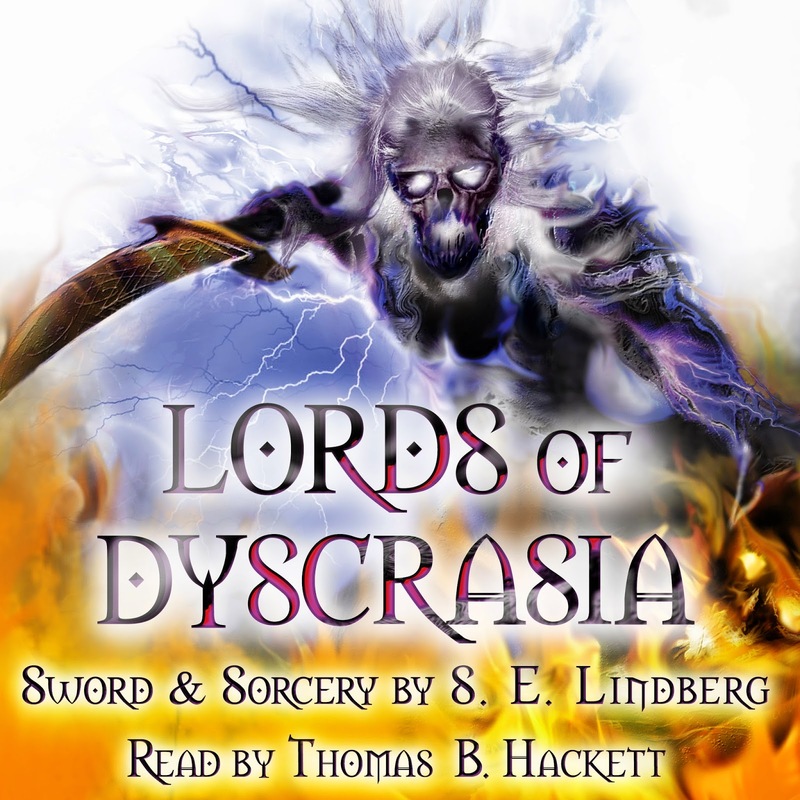 Feel welcome to track me down on Dyscrasia Fiction on Facebook or the Goodreads Sword & Sorcery group that I co-moderate.